The colonial Mexican city of Guanajuato has one of the most interesting collections of mummies in the world. How this came about is an fascinating story. The city was struck by a Cholera epidemic in 1833. Under these dire conditions, corpses were buried very rapidly to prevent further spread of the disease. The deceased were interred in mass graves, single underground graves and above ground crypts and mausoleums in an area that later became Guanajuato’s main cemetery, Panteon Municipal. In 1865 the city passed a “burial tax” ordinance requiring relatives and descendants to begin paying an annual fee or lose the right to use their crypts. If the money was not forthcoming the dearly departed would be disinterred and stored in a nearby warehouse. This law was on the books for 95 years before being repealed in 1958. During that period many of the deceased met this fate. One of these was a French doctor named Remigio Leroy. He was one of the first to be removed (1865). However, his corpse was different from most in that it had become mummified while entombed. How did this happen? Scientists examining the good doctor concluded a combination of factors produced this natural mummification. Among these were Guanajuato’s location in a semi-arid region with a very dry climate and low humidity. In addition the altitude is over 6,000 feet. All the mummified remains were found in above ground crypts where corpses would have released moisture immediately into the cement or wooden coffins where they lay. As a result decomposition would have quickly come to a halt and the corpse would become mummified. The passage of the 1958 law ended the removals. However, it is quite likely that hundreds of other mummies remain in above ground crypts throughout the cemetery safely out of reach of the tax collector. In the early 1900s word spread about this unusual warehouse of bones, skulls, skeletons and of course, the mummies. 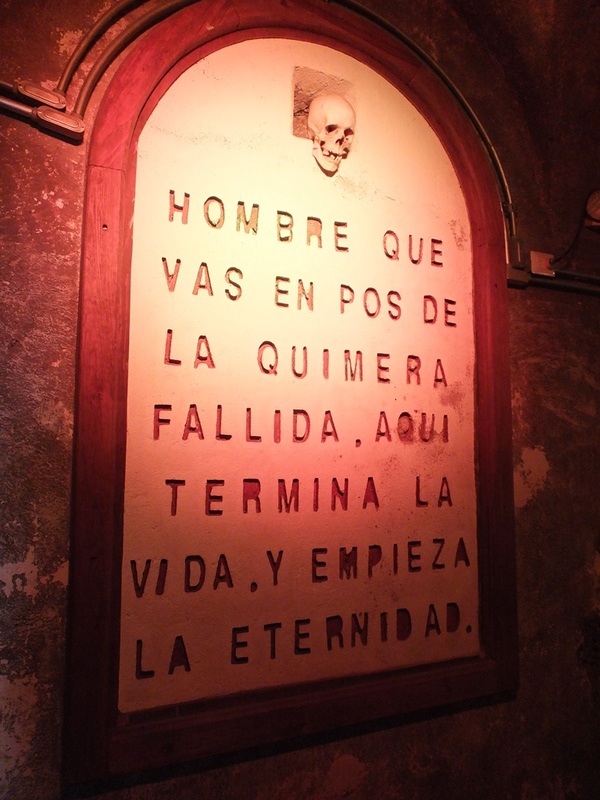 Visitors began paying the watchmen a few pesos to visit this bizarre collection. Some entrepreneurial locals recognized a business opportunity here and quickly capitalized on it. And soon a small building named Museo de las Momias de Guanajuato was erected adjacent to the Panteon Municipal to display the mummies. 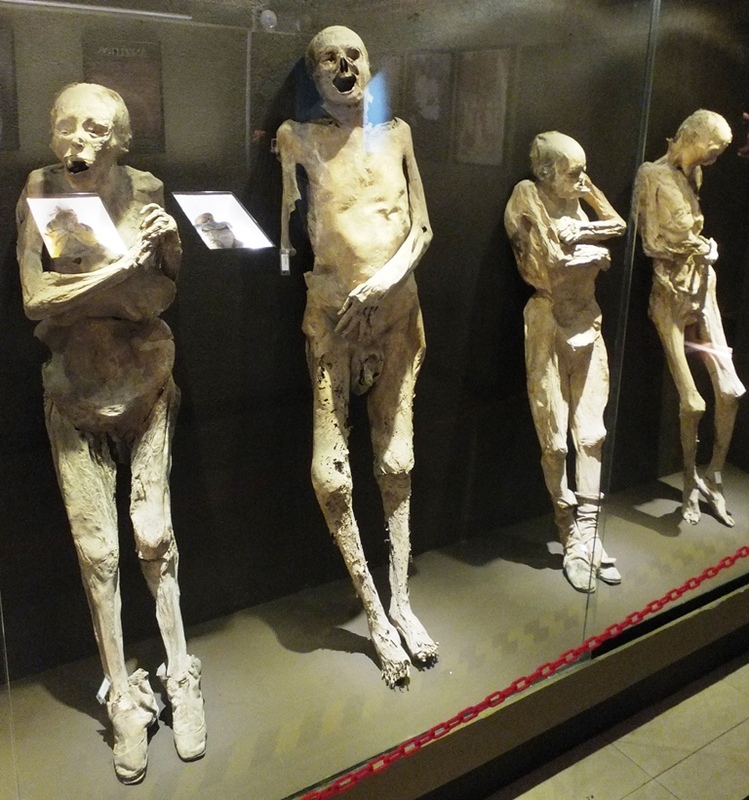 For years the mummies were literally propped up against the walls of the display gallery and held in place by a rope. This display worked well until the visitor count became unmanageable. In addition, some individuals began breaking fingers and toes off the mummies to take home as a souvenir. A new interior was designed and now the mummies are in airtight, climate controlled glass display cases with low level lighting. In some cases enough is known about certain mummies to have a small plaque telling the individuals story. 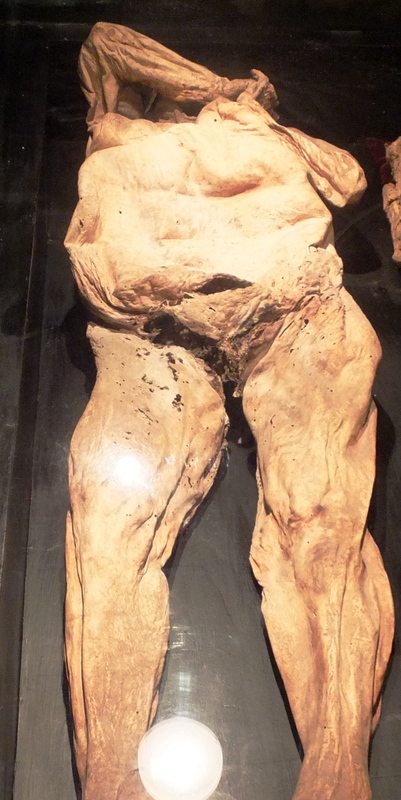 The afore mentioned Dr. Remigio Leroy who was the first mummy on display. Ignacia Aguilar who is believed to have been buried alive. She had a heart condition that made her heart stop. When this occurred Aguilar would pass out. Usually, after a few minutes her heart restarted and all was well. It seems that once the recovery did not recur in a timely manner and the family contacted the undertaker. When her mummy was disinterred it appeared she had awakened. Discovering she was in a coffin she turned over and bit her arms that remain in front of her face. The world’s smallest mummy is also here. 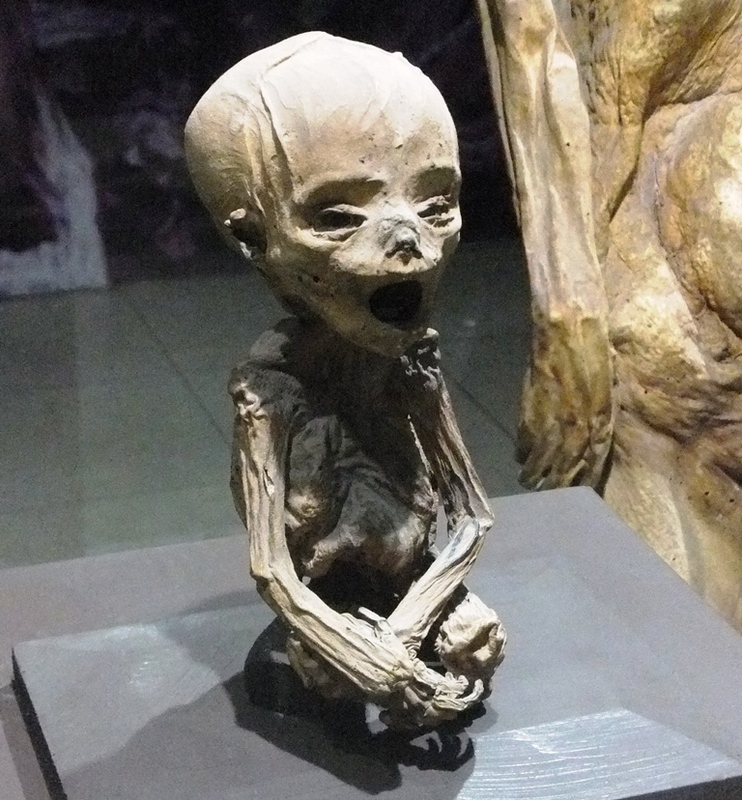 It is a mummified fetus whose mother died in a Cholera epidemic.